Bovine TB is a disease caused by a specific type (species) of bacteria called M. bovis. Bovine TB usually affects animals such as cattle, but it can affect practically all mammals causing a general state of illness, coughing and eventual death. It can be transmitted from animals to humans as well as to other animals. M. bovis is a different type of bacteria to the bacteria M. tuberculosis, that is the type that usually causes disease in humans. 1“Bovine Tuberculosis Disease Information”, United States Department of Agriculture, 2016,https://www.aphis.usda.gov/aphis/ourfocus/animalhealth/ The name Tuberculosis comes from the nodules, called ‘tubercles’ which form in the lymph nodes of affected animals. All the information on this website apart from this page, is about Tuberculosis (TB) in humans caused by M. tuberculosis. To learn more about TB in humans caused by M. tuberculosis, you might like to start by reading the Introduction to TB page. How is bovine TB transmitted and spread? The disease is contagious and it is spread by contact between infected domestic animals such as cattle, and wild animals and humans. The usual route of infection is by animals and humans inhaling infected droplets which are expelled from the lungs by coughing. Infection can also occur from direct contact with a wound. For example, a wound that might happen during slaughter or hunting. 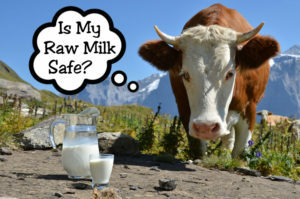 It is also believed by most people that calves and humans can also become infected by ingesting raw (unpasteurized) milk and other dairy products from infected cows. Because the course of the disease is slow, an animal can spread the disease to many other herd mates before it begins to show clinical signs of disease. So movement of infected but undiagnosed domestic animals and contact with infected wild animals are the major ways of spreading the disease. What are the symptoms of bovine TB in humans? How is bovine TB diagnosed? The standard method for the detection of bovine TB in animals is the TB skin test. This is the same test that is used to diagnose TB caused by either M. bovis or M. tuberculosis in humans. A definitive diagnosis is made through the use of the culture test a test which can take at least six weeks. How is bovine TB treated? How much human disease is caused by M. bovis? In most developed countries the number of cases of TB in humans that is caused by M. bovis is very small. One of the major difficulties in knowing how much human disease is caused by M. bovis is that some of the most commonly used laboratory processes can’t distinguish between disease caused by M. bovis and disease caused by M. tuberculosis. www.who.int/tb/publications/global_report/en/ A zoonotic disease is a disease of animals which can also affect humans. So the figures below cover all TB disease in humans that is estimated to have started in diseased animals whose disease is caused by the bacteria M. bovis. The WHO program to End TB calls for the diagnosis and treatment of every TB case in humans, including cases of TB in humans caused by M. bovis. Which animals can get bovine TB? buffaloes, bison, sheep, goats, horses, camels, pigs, wild boars, deer, antelopes, dogs, cats, foxes, mink, badgers, ferrets, rats, primates, llamas, kudus, elands, tapirs, elks, elephants, sitatungas, oryxes, addaxes, rhinoceroses, possums, ground squirrels, otters, seals, hares, moles, raccoons, coyotes and several predatory felines including lions, tigers, leopards and lynx. Where in the world is bovine TB found? TB is found throughout the world. The disease is more prevalent in most of Africa, parts of Asia and the Americas. Many developed countries have reduced or eliminated bovine TB from their cattle population; however, significant pockets of infection remain in wildlife in Canada, the United Kingdom, the United States and New Zealand. Until the 1920s when control measures began in developed countries, TB was one of the major diseases of domestic animals throughout the world. Today it remains a major disease of cattle and wildlife. What is being done to control bovine TB? For many years the control of bovine TB has focused on the control of bovine TB in domestic cattle herds. This has been through whole herd skin testing, slaughter surveillance and monitoring the movement of animals between herds.6S. D. Fitzgerald, “Wildlife reservoirs of Bovine Tuberculosis Worldwide: Hosts, Pathology, Surveillance, and Control”, Veterinary Pathology, 2012, 50(3) 488-499, http://journals.sagepub.com/ Vaccinating cattle for the control of bovine TB is not currently used within any international control program and it is illegal within the E.U.7A Conlan, “Potential benefits of cattle vaccination as a supplementary control for bovine Tuberculosis”, PLOS One, 2015, Feb 11(2) e1004038, http://journals.plos.org/ploscompbiol/ This is because vaccines based on the TB bcg vaccine, all interfere with the action of the tuberculin skin test which is used for the diagnosis of TB in cattle. If the bcg vaccine is used then it is impossible to differentiate between cattle that have TB and cattle that have been vaccinated. In addition in 2016 there started to be a worldwide shortage of the bcg vaccine. The pasteurization of milk and other dairy products has been important in preventing the spread of the disease to humans. Pasteurization means heating the milk to a sufficient temperature that any bacteria in the milk will be killed. 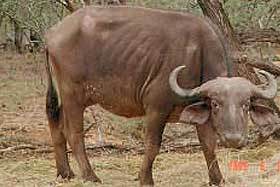 and bovids, particularly buffalo in Africa. In these instances it has been assumed that livestock, usually cattle, served as the initial source of infection for different wildlife species. It has however been unclear when this may have happened. The wildlife were then able to maintain the disease in their free ranging populations until contact between livestock and infected wildlife allowed the disease to be transmitted back to the livestock. So this allows the disease to continue whatever action is taken with infected cattle herds. Wildlife free buffer areas to prevent contact between wildlife and livestock.